How would you change the way we hold elections? Election Day is six weeks from tomorrow, but tens of millions of Americans will actually cast their ballot before November 6. Early voting has already started - and by the end of the month voters in 30 states will be able to cast absentee ballots or vote early in person. This includes voters in key swing states like Iowa, North Carolina, Virginia, Wisconsin, and New Hampshire. It's expected that more than one-third of voters - or more than 40 million americans - will vote early this year. 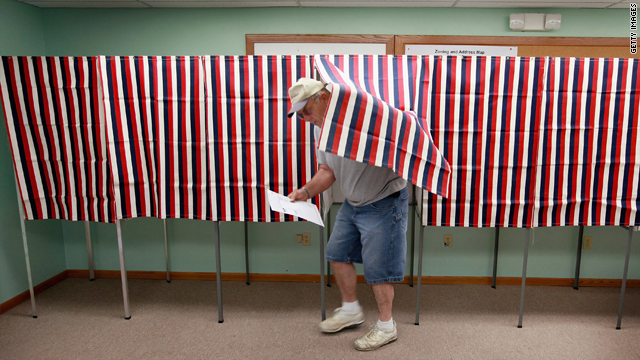 According to Politico, in 2008, early and absentee voters made up more than half of all voters in some states. In Colorado, 79% of people voted early. And that's not lost on the candidates. 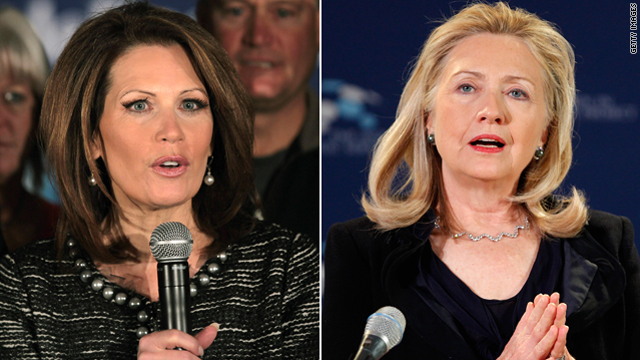 In a tight race, early votes could make the difference in who wins the White House. Both the Obama and Romney campaigns are working to get their voters out early. It's something the president's campaign did very well last time around.. Early voting has also changed the way candidates and their campaigns approach the elections - and us. For starters, it's not worth saving up all those precious advertising dollars until the last days and weeks of the campaign if one in three voters will have voted by then. Also, it increases pressure on the candidates since any gaffe or controversy that happens now could be the last thing early voters remember before they cast their ballot. 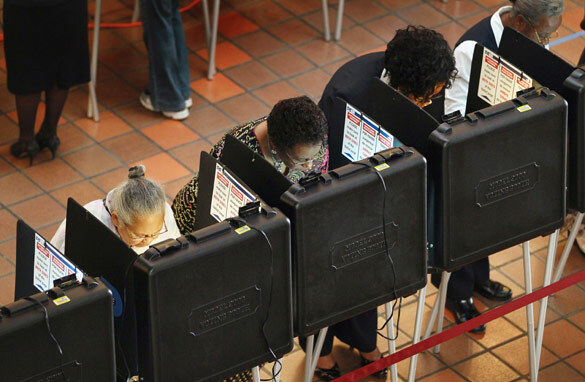 And with modern technology and all the problems that can happen at the polls on election day, it seems fair to ask why we even have an Election Day where people have to go to the polls. Here’s my question to you: How would you change the way we hold elections? What will it take to get young voters excited again? 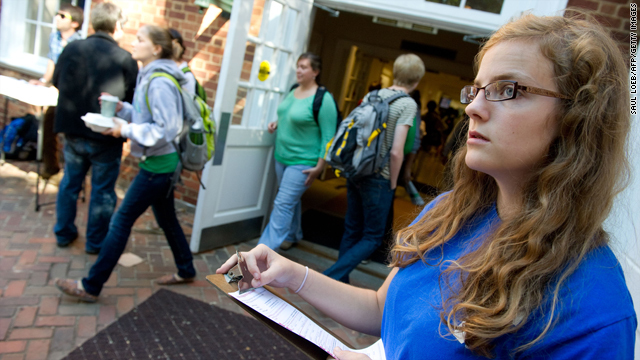 Young voters are not nearly as excited about this presidential election, and that could doom Pres. Obama's chances for a second term. A new Gallup Poll shows only 58% of registered voters between the ages of 18 and 29 say they will "definitely vote" this fall. That's far below the national average of 78% for all registered voters. It's also at least 20-points below the percentage of young people who planned to vote in the fall of 2004 and 2008. Young voters were one of the key voting blocs in Obama's 2008 victory over Sen. John McCain. They overwhelmingly support the president again this time around, but they historically show up to vote in lower numbers than other groups. There's a growing sense that the outcome of this election could come down to turnout, and if that's the case, the relative lack of interest among the youth is not a good sign for the president. Of course it's still only July, and Obama and presumptive Republican presidential nominee Mitt Romney have more than three months to fire up this group. This poll also shows the percentage of blacks who say they will definitely vote is similar to the national average this year. However, Hispanic registered voters – who overwhelmingly back Obama – are another one of the groups with the lowest expected turnout. Only 64% of Hispanic voters say they will definitely vote. Again, not a good sign for the president. The outcome of this election will be enormous for our country. We're facing many critical problems, including high unemployment and a runaway national debt. Those younger than 30 have a huge stake in all of this because whether we elect Obama or Romney could have a big impact on what kind of America they inherit. Here’s my question to you: What will it take to get young voters excited again? Is a presidential run already over for Trump? The morning after his TV show "Celebrity Apprentice" was interrupted by the breaking news that Osama bin Laden had been killed, Donald Trump released a statement congratulating President Obama and calling for an end to party politics for "the next several days." He has been uncharacteristically quiet since, especially for a guy who spent weeks adding fuel to the “birther” controversy, badgering the president on a number of issues and tiptoeing around talk of his own presidential run in 2012. Chances are Trump has been quiet, in part, because he is still smarting from the White House Correspondents' dinner two Saturdays ago. President Obama and the evening's emcee, "Saturday Night Live's" Seth Myers, separately skewered Trump at the gala event with a series of jokes on everything from his lack of political experience to his hair. It was a world class beatdown, and by the look on his face - Trump was there– he didn't take the jokes very well. But luckily for him, the news on bin Laden limited that embarrassment quickly. Last week Trump announced he was pulling out of an appearance to drive the Indianapolis 500 pace car at the upcoming race on May 29th. Trump said it wouldn't be appropriate for the spotlight to be on him during the race's 100th anniversary if he had a possible presidential run on his mind. It may be the first time in recorded history that Donald Trump declined the spotlight. Then there's this: According to a CNN Opinion Research poll, 57 percent of Americans say Trump is tough enough to handle a crisis in this country and 51 percent say he can get the economy back on its feet. But only 37 percent say Trump can manage the government. And only about one-third says he's honest and trustworthy. These poll numbers are as dismal as his chances of being elected. 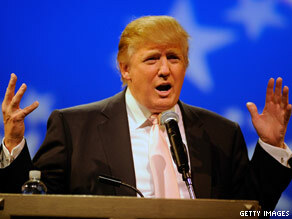 Here’s my question to you: Is a presidential run already over for Donald Trump? 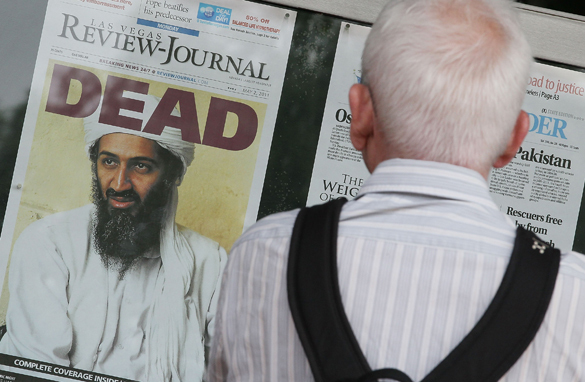 Should killing of Osama bin Laden be an issue in '12 presidential race? After hovering around all-time lows in the polls, President Barack Obama is getting a boost in his approval ratings following the killing of Osama bin Laden. A new Gallup poll finds the president's approval rating jumped from 46% to 52% after Sunday's successful raid of the bin Laden compound. Issues such as the deficit and the economy have been weighing on Obama's approval and putting his 2012 bid for re-election in jeopardy. His indecision over acting in the recent Middle East uprisings didn't help his cause either. But getting bin Laden - that was big. And somehow people suddenly forget how inexperienced and ineffective he seemed on foreign policy as recently as a few weeks ago. You can be sure that the economy, things such as jobs and the skyrocketing national debt and deficits will still likely dominate the 2012 race. But for now - for this week– foreign policy and the war on terror have taken center stage. And President Obama is looking pretty good all of a sudden. But that's also in part because of his lack of competition. The potential field of Republican candidates is pretty awful, consisting of mostly current or former governors and a few current or former House members. Plus a lot of people who have already run for president and lost. But like I said, we have a tendency to forget pretty quickly, and once conversation switches back to the $14 trillion debt ceiling we're fast approaching and how we're going to cut next year's budget, the bin Laden "get" will likely hit the rear view mirror in a hurry. 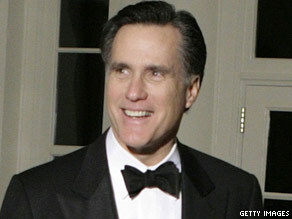 Here’s my question to you: Should the killing of Osama bin Laden be an issue in the 2012 presidential race? 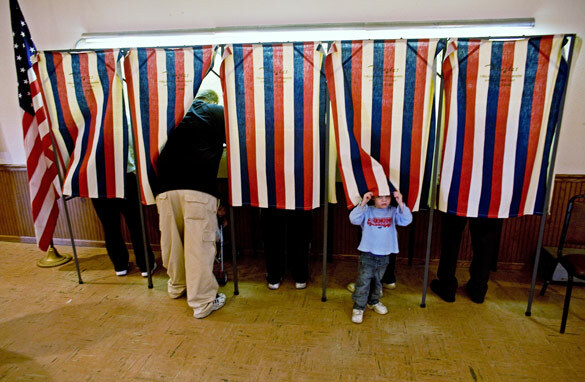 As things in Washington go from bad to worse, here's an idea that could really shake up the way politics is done in this country: Let children vote. It may not be as crazy an idea as it first sounds. Politico.com has a piece about a recent report in the Economist on the problem of Japan's aging population. The median age of the voting population in Japan will soon be 65. This gives older voters a huge amount of political power - and means it's highly unlikely they'll support cuts in entitlement programs. Sound familiar? The United States is facing a similar problem: As baby boomers age, entitlement spending is taking up a larger and larger portion of our budget - and growing our deficit exponentially. Well, one expert who wrote to the Economist suggests an answer to this dilemma is to let kids vote. In practical terms, this would mean giving parents an extra vote for every child. This would take away some of the voting power from seniors in the United States, who traditionally vote in large numbers. It also could give the future generation, which will have to pay off our massive debt, a say in the decisions being made today. However, it would also put the responsibility on parents to use those votes in the best interest of their kids. During the Vietnam War, when young Americans were fighting and dying for their country, the voting age was lowered to 18. 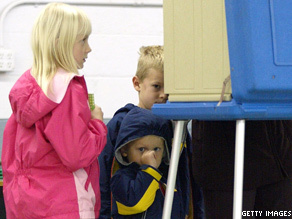 Now that the country is starting to die under the weight of its debt, maybe it's time to lower the voting age again. Here’s my question to you: Should children have the right to vote?